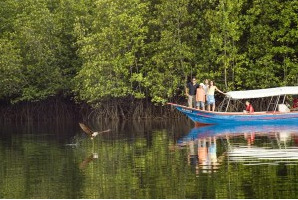 The advantaged Malaysia has abundant tourism resources and is suitable to tourists' travel and exploration all year round. In Malaysia, you can find the people of different nationalities, mouthwatering yummy, fantastic tourist resort, ecological tourism, cultural heritage, 100-million-year rainforest, snow-white beach, peculiar islands, and large shopping center! Language: mother tongue is Malaysian language, and English is also a frequent language here. Malaysia is warm and humid all year round and belongs to rainforest climate, with temperature fluctuating between 21℃and 32℃ and average annual precipitation ranging between 2,000mm and 2,500mm. Sungai Kilim is the best choice for those tourists who are fond of the journey of exploration. When standing in the boat, you can not only get a view of exotic flowers and rare herbs, but also have a zero-distance touch with the great nature, during which, the priority of the journey is "Personal Experience in Feeding the Hawk", and tourists will witness in person the hawk's hunting for meat loafs. Aside from that, tourists can appreciate unusual stalactite columns, legendary "Cave of Legend", and splendid Goa Lawah etc during the journey of exploration, in order to experience the marvelous and fabulous journey. Pulau Sibu is famed for its clean and white beach, clear seawater, and off-coast coral reef. On the island there are plenty of verdant and exuberant tropical plants, which make the environment more secluded and enchanting. Here, you can use diving, surfing, sailing, and fishing facilities. 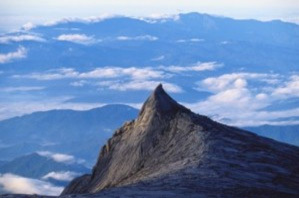 As the highest mountain in SE Asia, the Mount Kinabalu (altitude: 4,093m) is 85km away from Kota Kinabalu. The Kinabalu National Park is defined as the forest reserve, with land coverage of 754 square kilometers. It usually costs you two hours to drive from Kota Kinabalu to the national park's Head Office (altitude: 1,558m), during which, the temperature changes from 13℃ to 20℃. During the Sultanate of Malacca's flourishing period, Chinese people came to Malacca and lived here, and some even married local Malaysian people and merged into the Malaysian culture. Offspring of these Chinese people, together with the "Nyonya", are uniformly called "Children of Overseas Chinese" or "Straits Chinese". 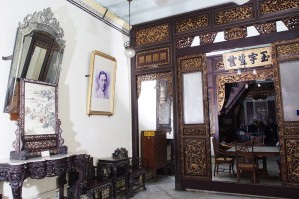 As the first private culture museum, the Baba and Nyonya Heritage Museum is located in Jalan Tan Cheng Lock, and it showcases lots of traditional "Nyonya" handcrafts and traditional cultural relics. Dense expressway network links all large and small townships of Malaysia, and main expressway lines are distributed in Klang Valley, Johor Bahru, and Penang. Starting from Singapore, Malaysia railway system extends towards the north and links main townships in the west of Malaysia. Kuala Lumpur is one of Malaysia's most important international airports. In the airport, the direction boards are made in English, Malaysian, Chinese, Japanese, and Arabic. In addition, the airport also sends airport information and notices by broadcasting in English, Malaysian, Chinese, and Japanese. By the airport express rail, it only costs you 28 minutes to travel from the airport to the Kuala Lumpur Central Plaza in the downtown of Kuala Lumpur. It only costs you 35 minutes to travel from the airport to the downtown of Kuala Lumpur, during which, the metro vehicle will pass by five stations. If arriving at Malaysia, passengers from the First Passenger Transport Building, which is interconnected with the Satellite Passenger Transport Building, need to purchase the ticket only at fixed cost to take the airport taxi.